Well, after all the planning, my friend's wedding finally happened this weekend. 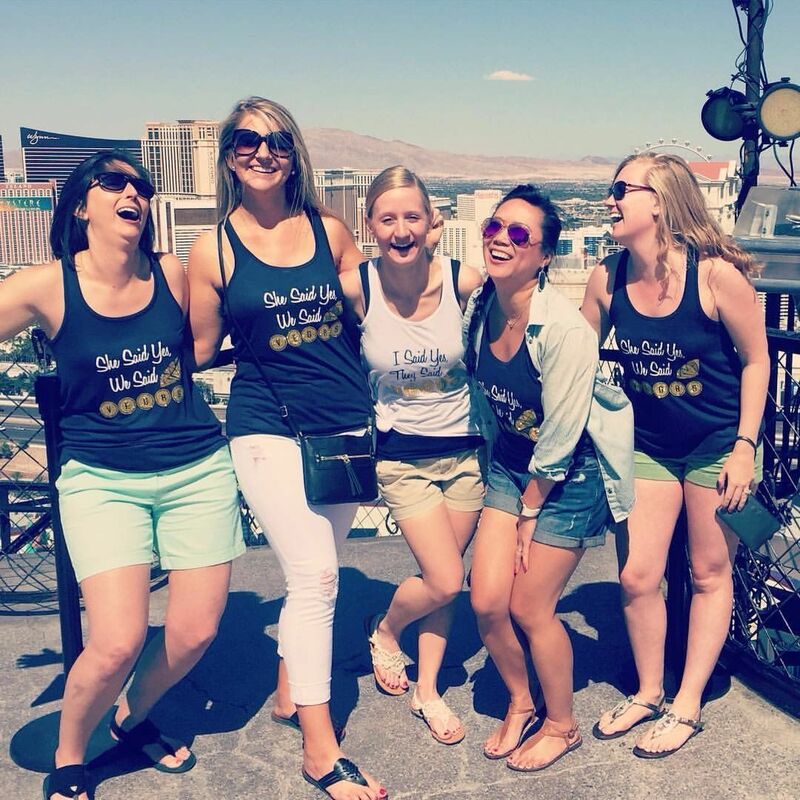 If you need to catch yourself up, you can see details from the bachelorette party weekend here and the bridal shower here. If you recall, the last wedding I was in happened last September. While this is only the second time I've gotten to share a bridesmaid dress on the blog, I have officially been a bridesmaid 8 times. I've gotten to wear blush pink, mint, navy, forest green, apple red, chocolate, purple, and now wine. Luckily, I don't think I've ever had to wear a dress I didn't like. This weekend's dress definitely made me feel feminine and pretty. 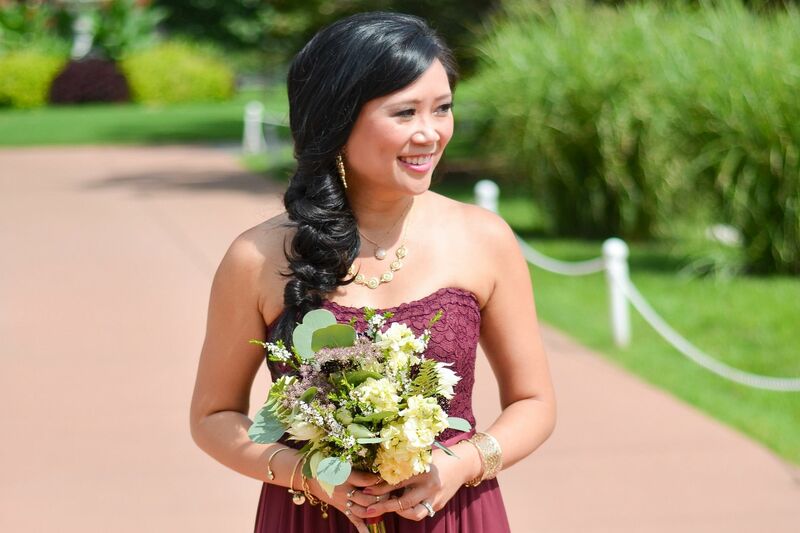 The wedding ceremony took place at the Piper Palm House in Tower Grove Park. I had never been there before and it was beautiful! The bride had a suite at the Residence Inn downtown on Jefferson, and all of the girls stayed with her the night before the wedding for cocktails and dinner. The ceremony was at 2:30, so we got our morning started bright and early at 7am for breakfast before the hair and makeup girls arrived at 8am! 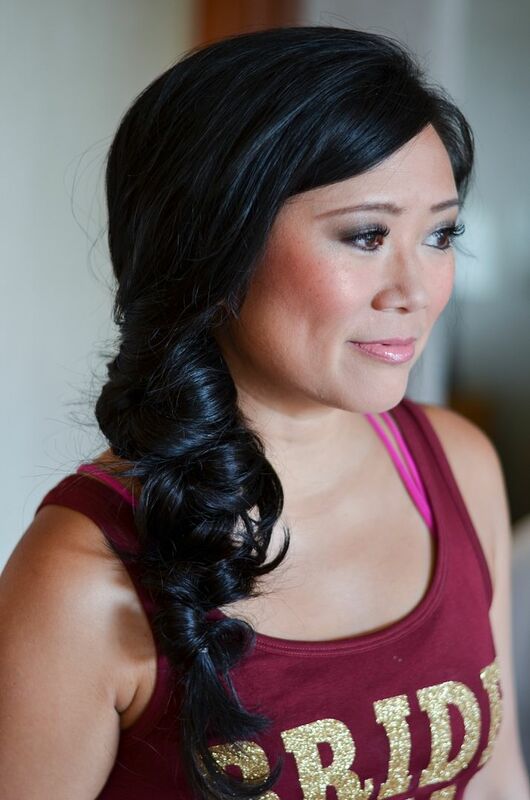 I do love a good updo every once in awhile, I definitely favor the sideswept, cascading style for special occasions. It makes me feel like my hair is down, but everything still stays in place and out of my face. I wanted my hair in a chunky, messy but beautiful side braid. 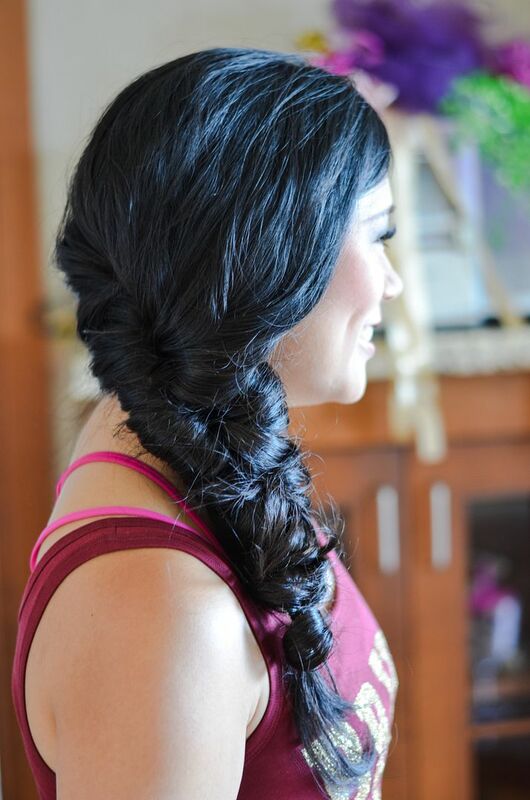 The inspiration photos I showed the stylist all had a braided crown that waterfalled into a fishtail. I brought my hair extensions just in case she needed them for extra volume, but she ended up not using any of them. Here are a couple of close up shots of my hair. She didn't do an actual braid. She did a twisted pull through faux braid that ended up looking more knotted and haphazard. (Similar to this tutorial here except that she started at my neck instead of the top of my head.) 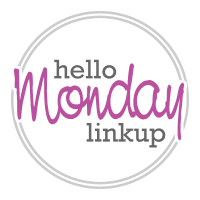 I liked it because my layers tend to fall out of braids, but this style camouflages that. And since she curled my hair all over beforehand, the ends looked more wispy and intentionally chaotic than just straight and looking like they were accidentally sticking out. We loaded the party bus after the ceremony and drove to a couple of off site locations for photos. The reception went from 6 to midnight and my hair stayed put all night, which made it even more perfect. That's a lot of cocktails and dancing! 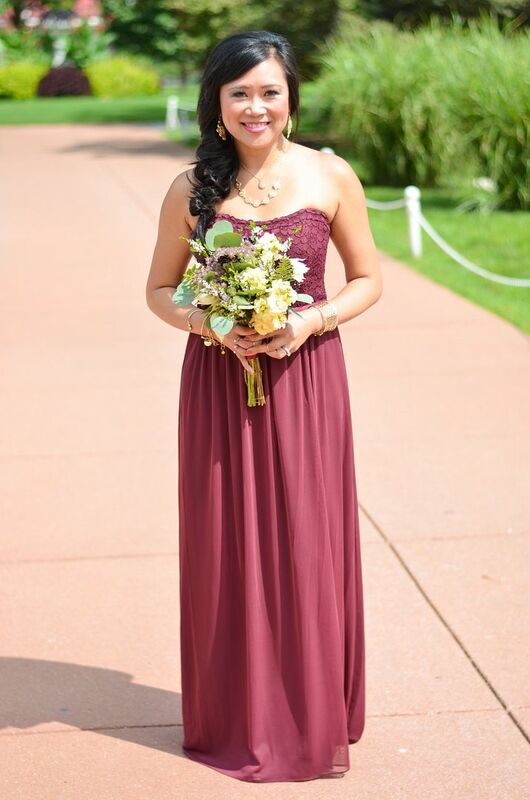 I thought I would finish the post by posting photos of the bridesmaid journey! 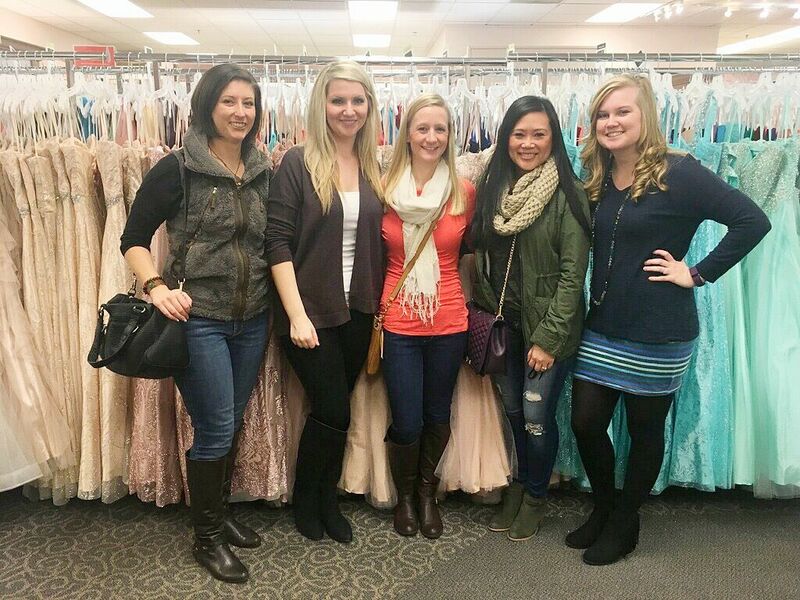 I remember dress shopping and feeling like the wedding was still a long way away! Time passes so quickly, it's scary! 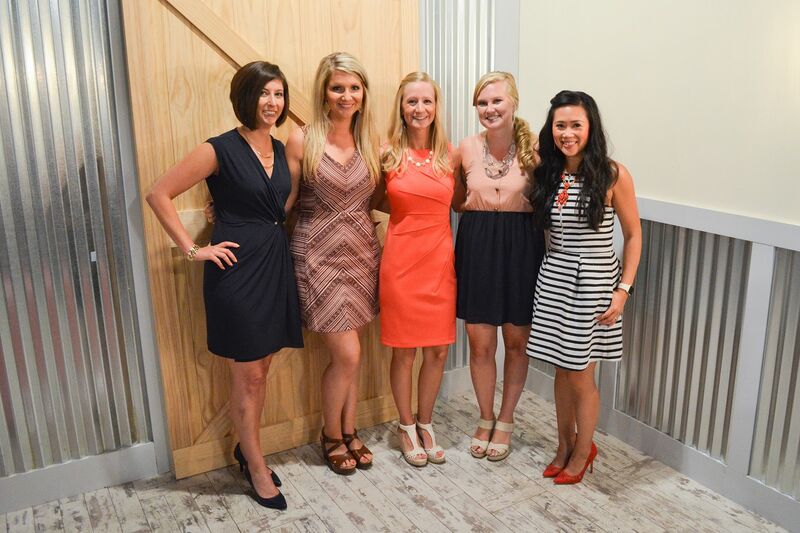 This was such a fun wedding of which to be a part, and I feel lucky to have made the cut! Congrats, Cortney and Kyle! You were the most stunning bridesmaid! I love your hair! 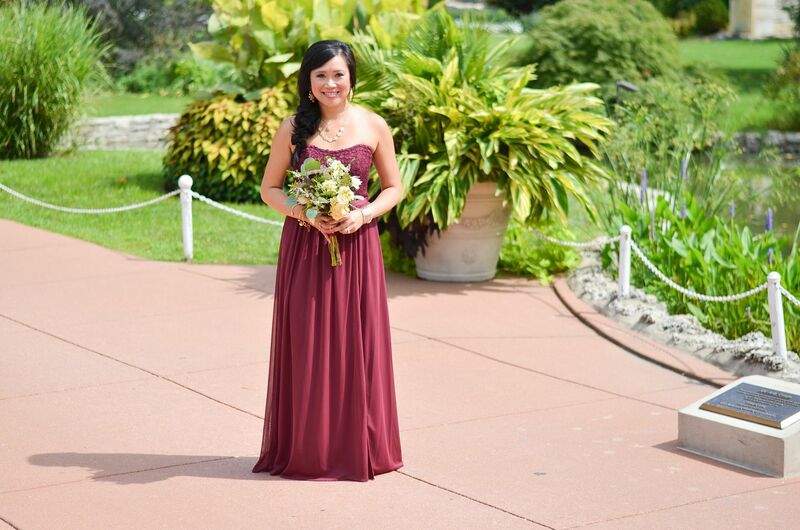 This is such a beautiful bridesmaid dress, you looked beautiful and so did all the other lovely ladies. you looked so pretty and your hair was glorious as always. 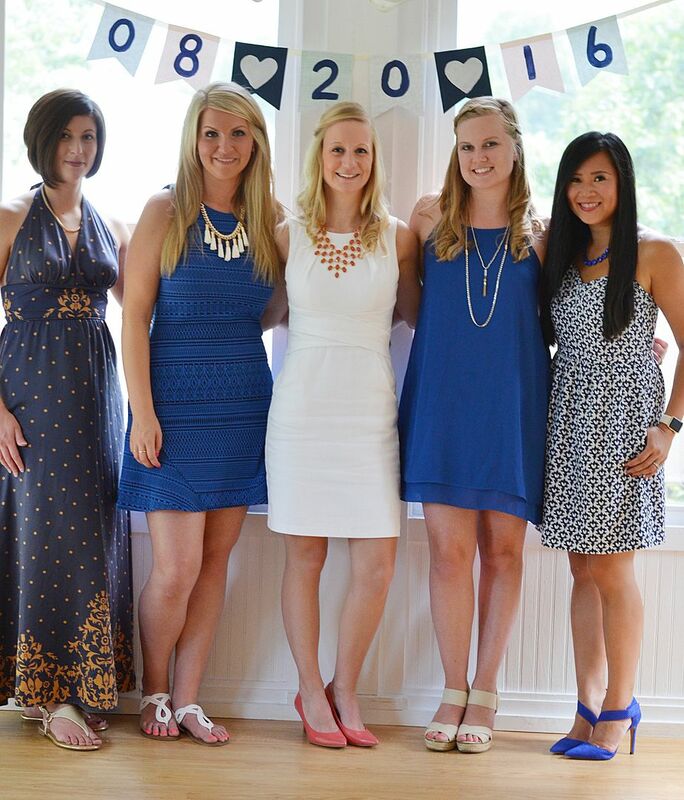 So fun to see the recap leading up to the big day you gals had lots of fun. That dress is the perfect color for you and I love your hair! 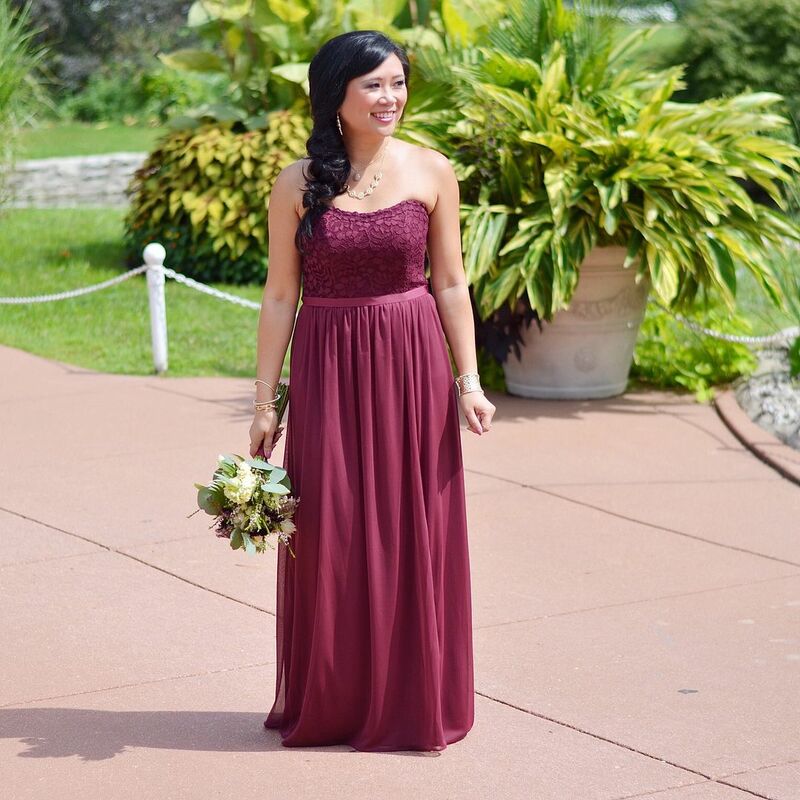 The color and fit of this dress is so gorgeous on you Carylee! Thanks for sharing all the moments up to this wonderful wedding. I love your hair as well! 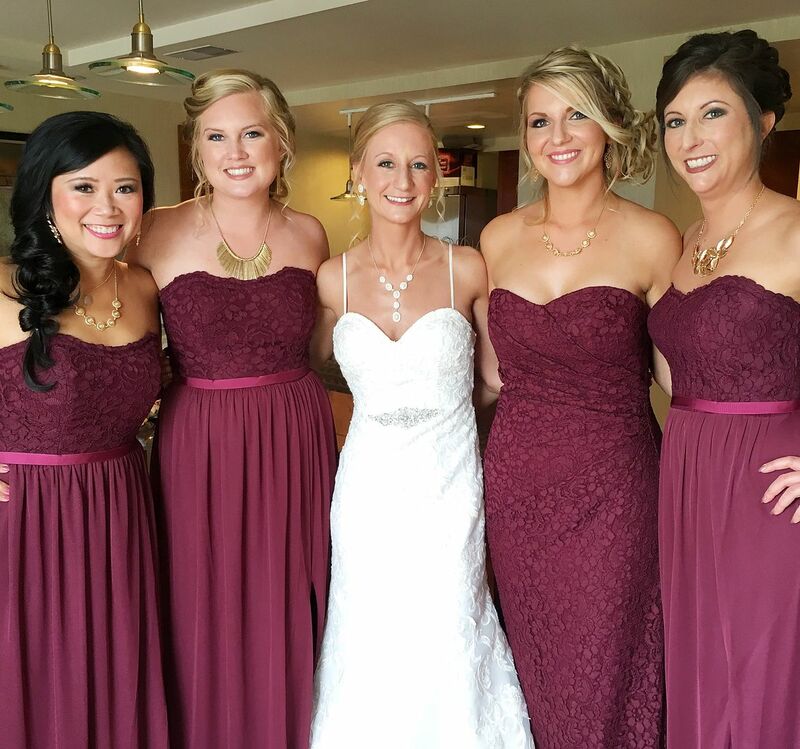 What a gorgeous bride and such beautiful bridesmaids! Your hair is stunning! Oh it's great to see the "timeline" so-to-speak of the wedding events. I remember seeing your Instaposts & snaps about it so it's neat to put it all together. That color looks gorgeous on you and I love the faux braid. 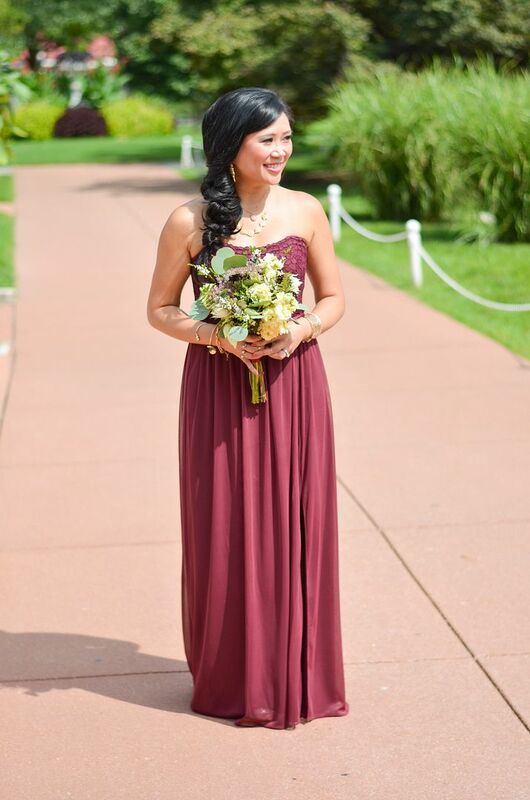 It's so hard to find bridesmaid dresses that are flattering on everyone in the party, but your friend nailed it. The color is stunning on you! Looks like it was a great wedding, and you look beautiful in your dress. Love the hair!! What a unique hairstyle Carylee!! 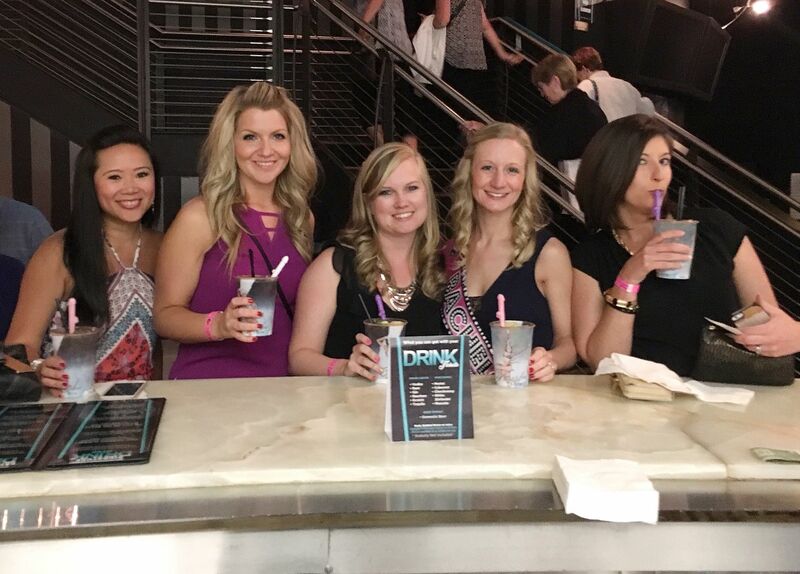 It looks like you girls had such a fun time!! That's what weddings are all about! that dress looks gorgeous on you! Love the color and the style. Beautiful hair too! You look gorgeous, the color of the dress is great on you! Also, I love the hairstyle you chose and I'm impressed that it stayed in all night. It sounds like a blast! Such a great color! You girls look like you have so much fun together! Omg you look stunning caryl! I love the color of that dress. So flattering against your hair! And the makeup is basically perfection. I wish I could look like this every day! Congrats to the happy couple :) I love weddings. They are a lot of work but being a bridesmaid is such a special honor. GORGEOUS! Wow your hair is so thick and beautiful, no wonder the stylist passed on the extensions! You all look gorgeous, and your hair looks great! !